The day has finally arrived. 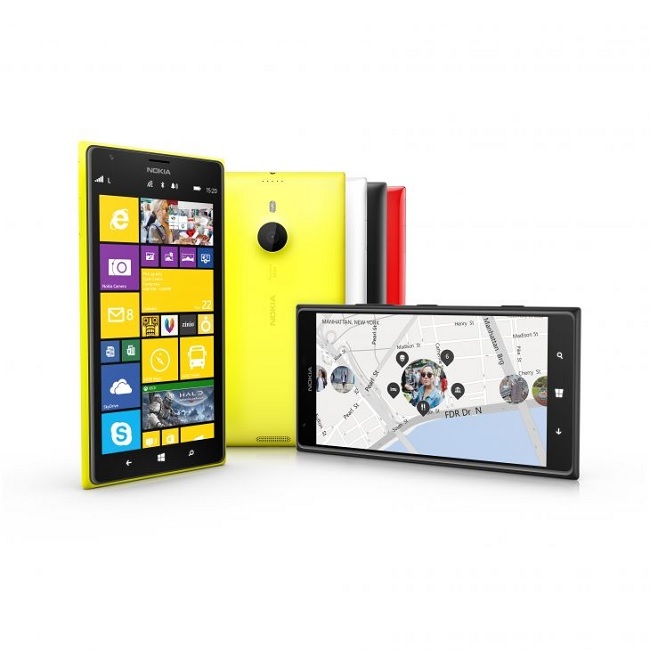 Nokia CEO Stephen Elop took the stage at Abu Dhabi and unveiled the best of Windows Phone 8 – Nokia Lumia 1520. We’ve seen the phablet getting leaked extensively in the past, and knew what it will bring at the table. The phablet comes with top of the line specifications with an excellent 6-inch display, a powerful Snapdragon chipset and an impressive PureView camera. 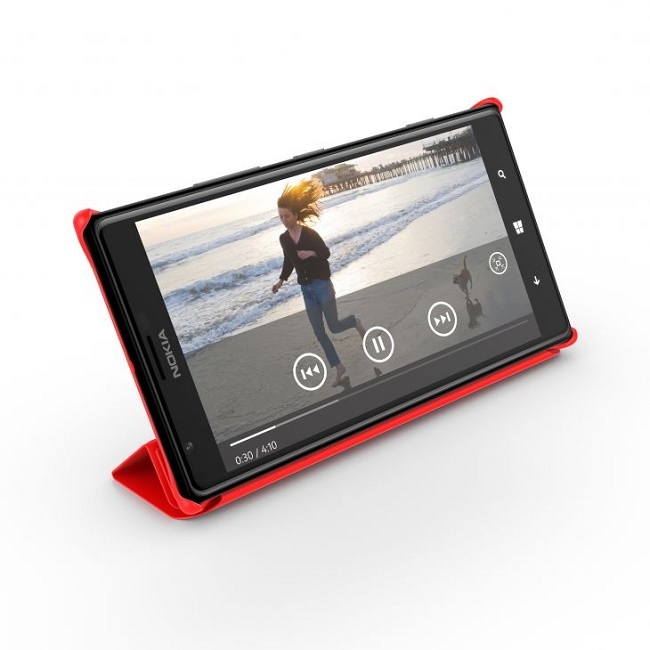 Nokia Lumia 1520 comes with a gigantic 6-inch full HD display boasting a resolution of 1920 x 1080 pixels. The handset is powered by a quad-core Qualcomm Snapdragon 800 chipset clocked at 2.2GHz with Adreno 330 GPU and 2GB RAM. The handset will come with 32GB internal storage with support for expandable storage of up to 64GB. To keep the juice running, the phablet comes with a massive 3,400 mAh battery with built-in wireless charging capabilities. The Lumia 1520 offers the latest imaging innovation from Nokia – a 20MP PureView camera with optical image stabilization (OIS) enabling sharp images even in the dark as well as oversampling and zooming technology similar to the Lumia 1020. In addition to the new Nokia Camera and Nokia Storyteller applications, the Lumia 1520 offers a 6-inch screen and a vivid 1080p full HD display for outstanding outdoor readability. The most interesting feature is the 20MP PureView camera with optical image stabilization and Carl Zeiss Optics, enhanced sensor technology, dual-LED flash and full HD video recording . The handset comes with Nokia Camera application that brings the best of Nokia Pro and Smart camera features in one application. On the connectivity side, the phablet brings WLAN a/b/g/n/ac, μUSB, BT 4.0 LE, Accelerometer, Proximity sensor, Magnetometer, Gyroscope and Ambient Light Sensor. On the software side, Nokia Lumia 1520 comes with the latest Windows Phone 8 GDR3 out of the box, which will earlier Lumia devices next year. Nokia Lumia 1520 comes with Microsoft Office pre-installed with 7GB free SkyDrive storage to back up your documents and edit them on any drive. Nokia Lumia 1520 also brings StoryTeller application that automatically integrates your photos with Nokia Here location information. The handset will come with a whopping $749 price tag, unsubsidized and will launch in Asia and Europe later this year. The handset will be available in four colors: white, red, yellow and black.